↑ Ayyar, P. V. Jagadisa (1991). South Indian shrines: illustrated. New Delhi: Asian Educational Services. pp. 410–423. ISBN 81-206-0151-3. ↑ Man, John (1999). Atlas of the Year 1000. United Kingdom: Penguin Books. ISBN 0-7946-0011-5. ↑ Thapar, Binda (2004). Introduction to Indian Architecture. Singapore: Periplus Editions. pp. 43, 52–53. ISBN 0-7946-0011-5. ↑ "NH wise Details of NH in respect of Stretches entrusted to NHAI" (PDF). Ministry of Road Transport & Highways, Government of India. National Highways Authority of India. p. 2. Retrieved 2011-12-17. ↑ "Passengers demand new train from Thanjavur to Chennai on mainline". The Hindu. Tiruchi, India. 10 October 2012. Retrieved 2012-12-29. ↑ "Change in train services today". The Hindu. Tiruchi, India. 11 December 2012. Retrieved 2012-12-29. ↑ "Cancellation and partial cancellation of trains from December 4". The Hindu. 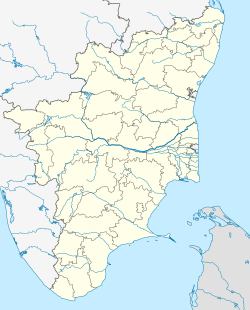 Tiruchi, India. 3 December 2012. Retrieved 2012-12-29. ↑ "Thanjavur Air Force base to be a major one soon". The Hindu. Chennai, India. 11 August 2010. Retrieved 2011-02-05. "ଥାଞ୍ଜାବର" . The New Student's Reference Work . Chicago: F. E. Compton and Co. 1914.